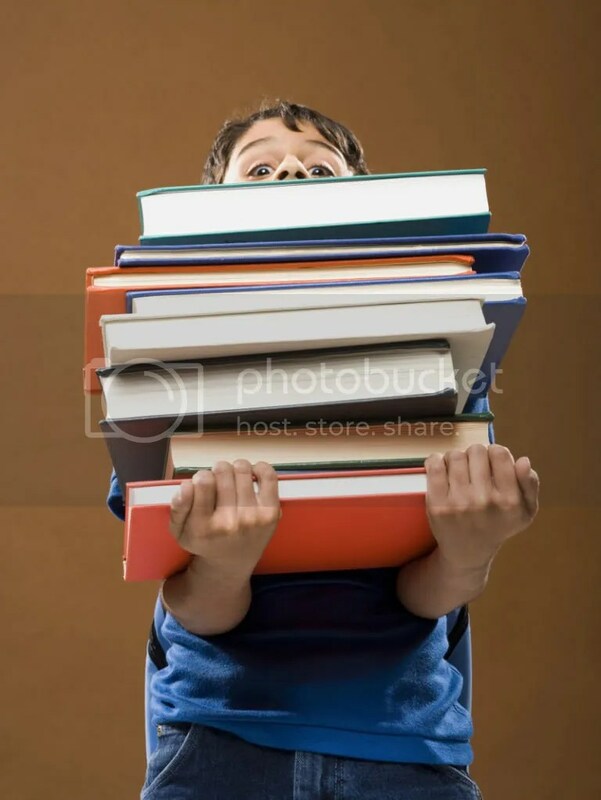 Physical book is usually hard to carry (Do you realize that text books are usually more than 1000 pages? ), eating space, and heavy. The other alternatif is reading book online, with computer, or ebook reader. There are two softwares reviewed in this post, Mobipocket Reader (for handphone) and Cdisplay (for computer). Both are freewares. Truthfully, my handphone now is Nokia E63. Why do I choose it and not higher-specs handphone? IMO, this handphone fullfills my need. I don’t need touchscreen (touchscreen vs moi is a bad combination), don’t need higher resolution camera. I can email, sms, Aku bisa email, sms, membuka dan edit office, baca pdf, lihat gambar, internet, listening to music I think it is sufficient. It’s a lie if I say that I don’t want better variant of its family C5/ C6, or hp with Android, but I am quite content now. For other purpose, I can use my notebook, so, why must I buy another? Many books that I read (OK, I downloaded), use pdf as their extention. OK, pdf is good and all, but it can be a bother if I want to read it in my Nokia E63. If I want to read it clearer, I must zoom it. If the font is small enough, the FOV will be smaller, resulting in many awkward left-to-right motion in reading books. It takes a long time to read the obviously all-text novel. MobiReader can easily installed in your handphone. It can read file with .prc extention. OK, maybe .prc is quite rare, but with installing the desktop version, you can import your file, office, .pdf, .html, .txt, and the other reader platform files like .chm, .epub,then convert them to .prc (‘publish’). After that, you can move/ copy the file to your handphone with USB 2.0 (its said that the latest version can do copying by infrared? ), very easy just send it after you choose the file, to registered device. 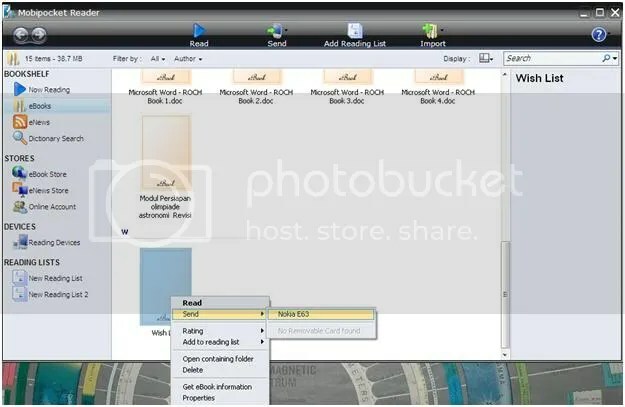 In your memory card, automatically there will be an ‘ebooks’ folder. You actually can read rss, search books in the online database, and some more. But, if you have the books, you can just import and read it, as simple as that. (And of course you can just choose your file as you please and you can move the book to other device. I have seen people complaining about bought book security password issue). And truthfully, other than converting books, I don’t use other functions. 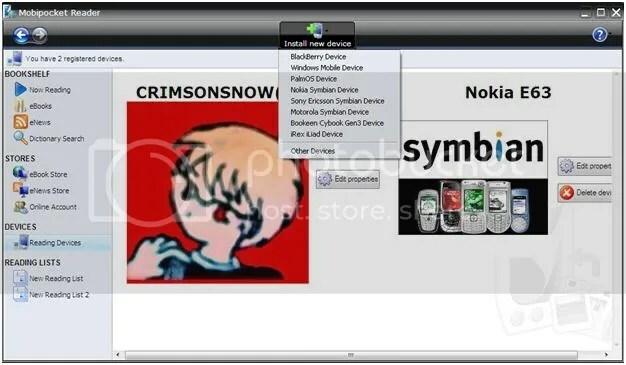 After importing books or adding new books to your bookshelf, the next time you connect your handphone to the computer, automatically the program will give you the option to send the new books to your handphone. In the computer client (again, truthfully I don’t use much other than converting books) you can give rating, change data, also make a reading list. Both in your computer and your handphone, you can make bookmark. The main factor to choose, obviously the handphone interface. Yes, because the most part of the books is text, I want to read them as comfortable as possible. As long as I use this program, I can zoom-in and zoom-out with ease, the text length in a row will adjust to the screen width. The other feature is bookmark, library (just a simple one. It will list any readable file in the folder ebooks, not caring about subfolder), annotation, copying, highlight, note, and hyperlink. To the point and simple, I think. You can also set whether you want to use scroll mode or page-to-page mode. 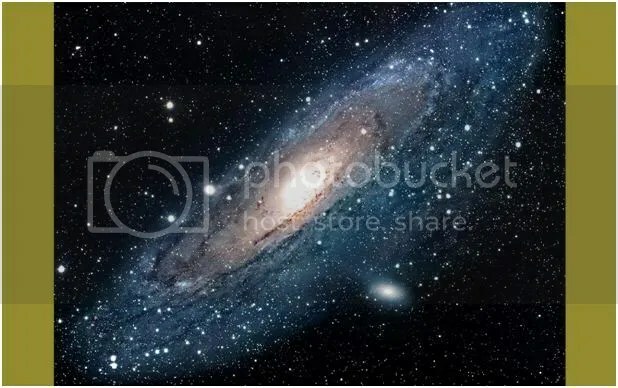 It can also modify background and text colour (I doubt people want to read in other than black-on-white or white-on-black. Your choice, of course). Justified text, one click for changing page, and showing picture of there is any (although small), can be good features. In the end, aftering installing MobiReader, there is no spare waiting time without intently staring at my handphone screen for reading books. After the book stocks in my handphone all finished, just search the pdf/ the book/ the article, import, and then more reading. I have written that I like reading comic (haven’t I? I think I have). Yeah, especially manga. I usually follow the online scanlation on the internet. Some people choose to read them online, I myself choose to download the chapter first and read it later (waiting the loading time between pages is killing me). Most downloaded comic file use compressed .rar or .zip extension. It isn’t convenient to do all the unzip-ping and unrar-ing and deleting, you get the gist. For that, you can use some program to open images from compressed file, one of it, and my favourite is CDisplay. OK, why CDisplay? I have tried some other programs, the highest program that satisfy me is CDisplay (I know, different person different opinion). CDisplay has minimalistic interface and setting, just the importants. Automatically it gives smaller size (Only 1,… MB). After installation, you can just drop the file to CDisplay in Taskbar and do the reading. For changing pages, you can scroll down, it will follow the number in order from smaller to the bigger. The biggest problem for this program, it will follow order like 01,02,…,09,10 so when the first ten digits you use 0-9, it will follow order like 1 10 11 12, so it will make you confused at first. After you have finished, you can load other file with choosing load file (L) or move to the next file (shift-L) (for serial, of course). 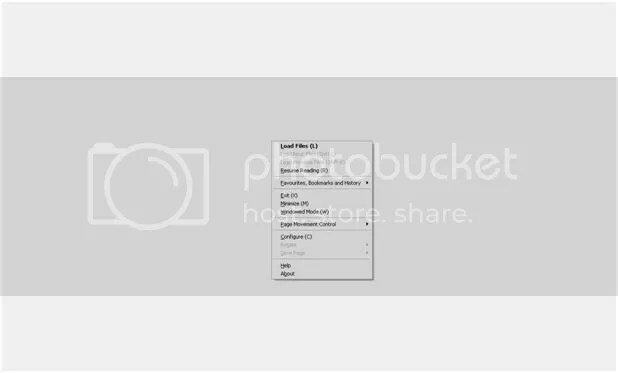 You can set image sizing, zooming, background colour, and other. 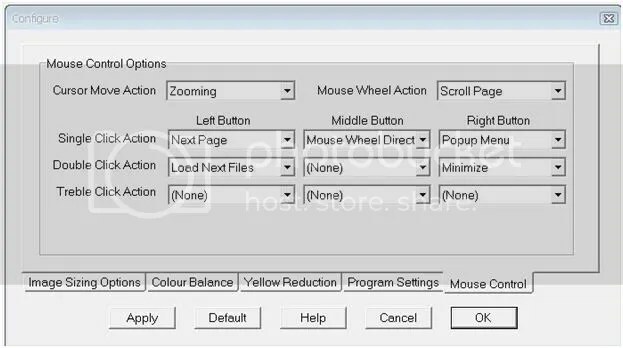 You can also set mouse control as you wish. To open .rar, .zip, .ace, or .tar file, you must open the program first, then open or drag the file. But, only with changing your file extension from.rar to .cbr and.zip to .cbz, you can open the file in CDisplay just by double-clicking it. This program works for file extension jpeg, png, static gif, bmp, and txt. OK, the weakness. It doesn’t have library function (personally I don’t think this feature as important, so it works for me). The latest version of Cdisplay is version 1.8 and it discontinued. I think for this program update is not that important, so it’s alright? Or you can just choose its newer open source version, CdisplayEx. Personally, I value mouse clicking higher than shortcut for this, so I recommend CDisplay higher than CdisplayEx. Other than for reading comic (in general). CDisplay also can be used to see wallpaper collection in .rar, or you can do file scrolling, not far from that, actually. Posted on August 20, 2011, in Plugging, Scattering and tagged cbr, cbz, comic, Compression, converter, desktop, download, ebook, ebook reader, gif, handphone, image viewer, java, jpeg, manga, nokia e63, png, rar, recommendation, review, share, software, symbian, technology, ttpod, zip. Bookmark the permalink. Leave a comment.